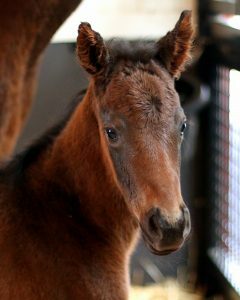 Our third foal of 2017 is our Valentine’s baby, Walkwithapurpose ’17. 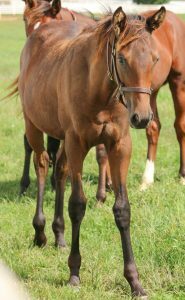 This filly by Uncle Mo out of Walkwithapurpose is growing up fast and we can’t wait to see what’s in store for her at Sagamore Farm in the coming years! 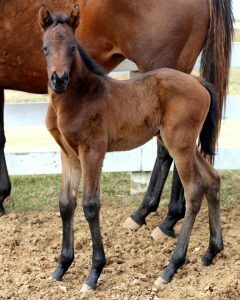 Our Valentine’s filly is Walkwithapurpose’s third foal! Walkwithapurpose made her mark in 2012 and 2013, going undefeated at Laurel Park and winning multiple stakes races including the Maryland Juvenile Filly Championship. 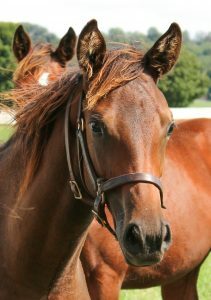 She was named Maryland-bred 3YO Champion Filly of the Year in 2013. 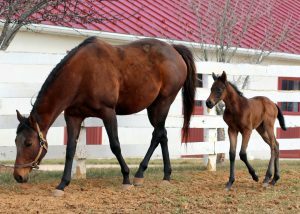 Debbie, our Broodmare Manager, will tell you that Walkwithapurpose ’17 is just like her mother. She’s smaller than the rest of the group, but she is tough. 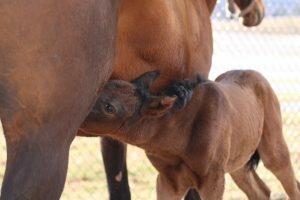 Make sure to follow along on Facebook, Instagram and Twitter as we share updates on the many transFOALmations occurring this season!